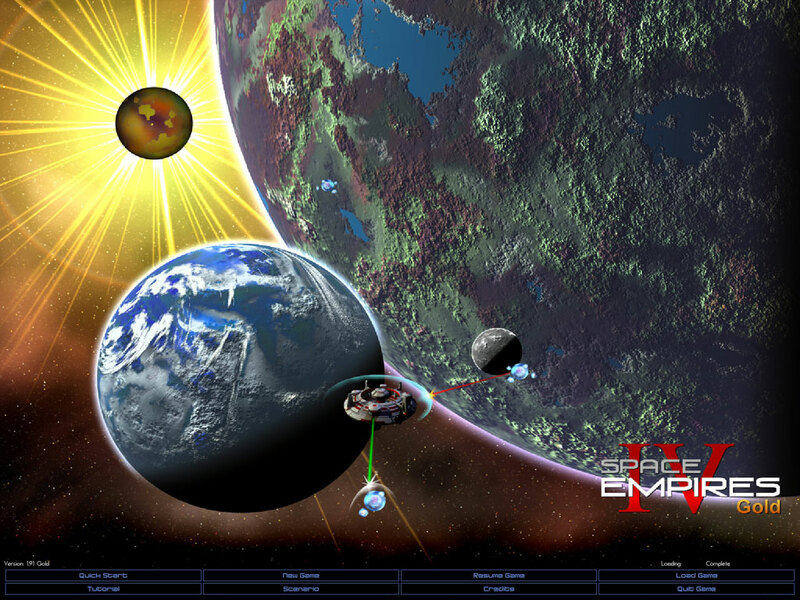 Space Empires IV (SE4) is a turn based strategy game in which you serve as the leader of a starfaring race, controlling every facet of the development of your empire from a single small homeworld to a vast interstellar empire. SE4 marked a huge departure from the past. Instead of releasing the title as a shareware game, Malfador sought to introduce the series to a wider audience by going with a publisher. They chose Shrapnel Games, which was at the time a recently formed online publisher of independent games. 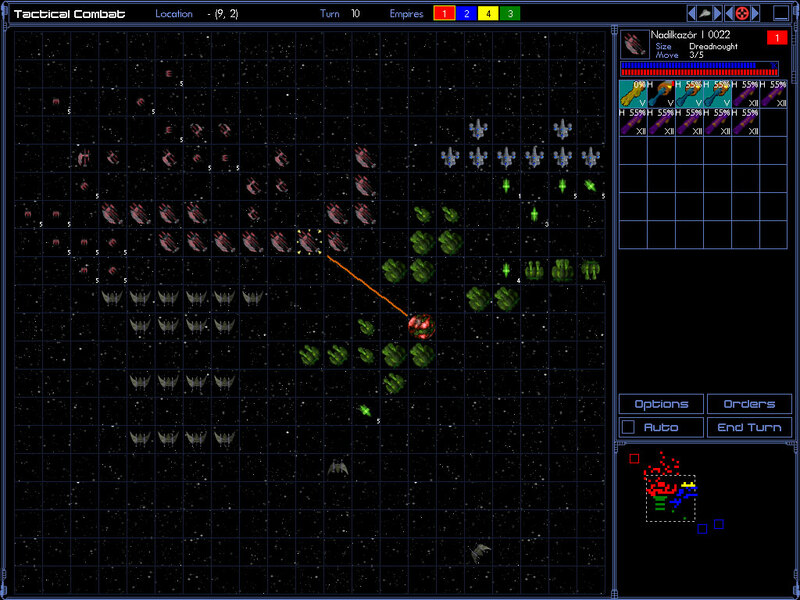 The marketing leverage of Shrapnel allowed Space Empires IV to reach a much larger audience than Space Empires III ever had, though it would still remain a niche game. A Gold version of SE4 was released on March 4, 2002. It included all of the previous updates to SE4 and many player-created mods, tools and documents for the game. It also featured a newer, better game manual. For 5 years, Space Empires IV and Space Empires IV Gold remained in the top 3 sellers list of all games published by Shrapnel Games. The success of SE4 allowed Aaron Hall to quit his job and work on Malfador games full time. The versions of SE4 published by Shrapnel Games are out of print. 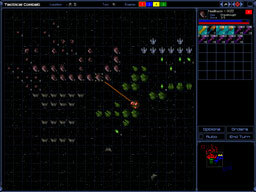 Space Empires IV Deluxe, essentially a rebranded Space Empires IV Gold with a few minor bug fixes, was published in the retail market by Strategy First in September 2005. The effects of publishing SE4 with the new publisher, Shrapnel Games, were not entirely beneficial, however. New players of the series tended to gravitate towards the Shrapnel Games Intel Forums community, rather than the older community sites. The old SE3 community sites (SE Center, Hyperion Base, Universe Ladder, etc.) only received a trickle of new members during these years. Combined with many old SE2/3 players leaving due to dissatisfaction with the new features of SE4, their membership levels dwindled. The Space Empires Center was the most negatively affected, eventually shutting down entirely as a result of lack of community membership. Unlike the previous titles in the series, Space Empires IV was designed from the ground up with modders in mind. Most of the game's data is stored in easy to edit text files. Most of the game's images are stored in easy to edit bitmap files. The ease of editing the game, combined with the ever-growing online community, allowed the art of SE4 modding to grow to unprecedented heights. A wide variety of mods have been created over the years, ranging from the AI-centric TDM Modpack to the cult classic Pirates and Nomads to massive total conversion projects such as the Star Trek Mod, Space Food Empires, and Adamant Mod. For an overview of all of the mods available for SE4, visit the SE4 Mods Wiki article. Another major contribution to the success of SE4 was the Play By Web service. PBW is a fan-run server dedicated to making it easier to find online opponents and run games. It handles all of the tedium of hosting and playing in a play by email game. PBW was coded by The Admiral, a fan of the series. It has been operated by fans unaffiliated with Malfador Machinations for its entire existence. Generous user donations have allowed Geoschmo and the other PBW admins to maintain the server for years. However, Shrapnel Games has contributed some prizes for various PBW tournaments run over the years. Many player-created newbie resources exist. The most notable is the Frequently Asked Questions for Newbies thread on Shrapnel Games Intel Forums, created from years of game support threads. It contains information on all aspects of SE4, including game strategy, basic info on the usage of mods, and all sorts of information on playing the game. For those interested in the mod creation aspects of the game, SEIV Modding 101 Tutorial is a good place to start.